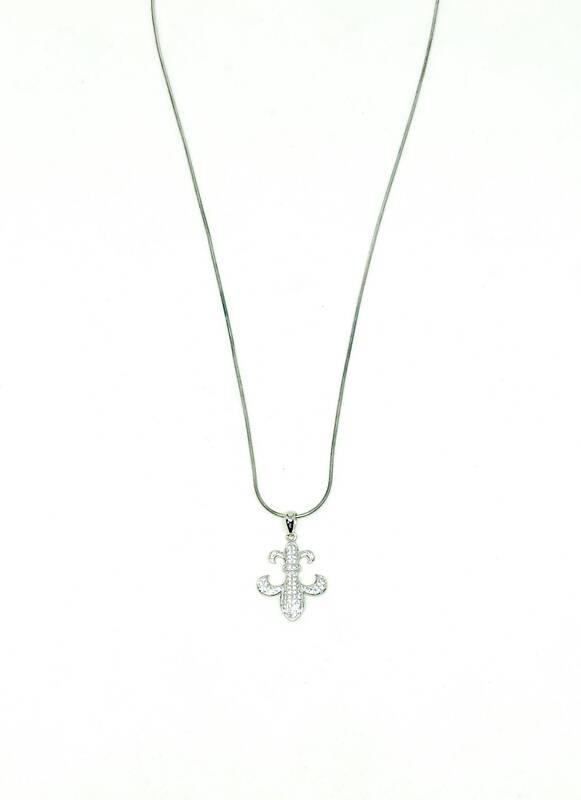 Women's necklace with 925 Silver Fleur De Lis pendant with CZ Diamonds. 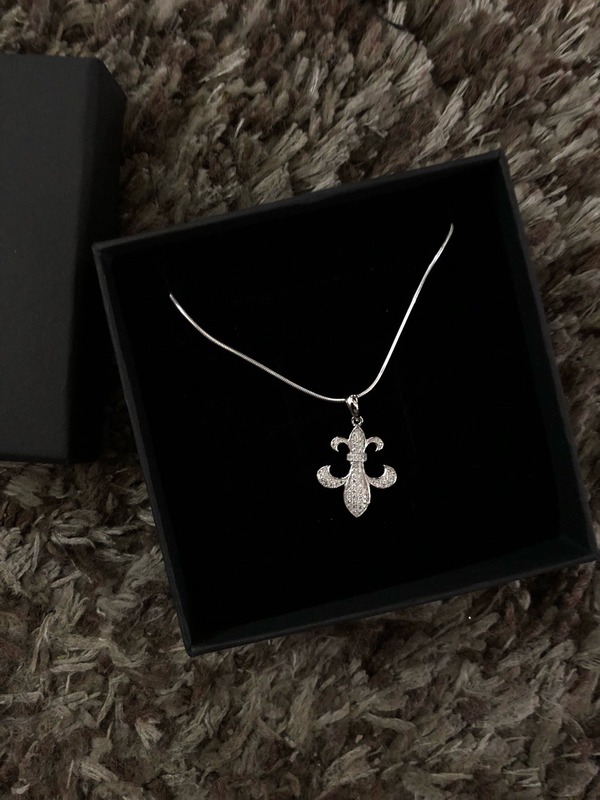 Women’s necklace made with 925 silver pendant with CZ 23.4x17.7mm and 18” Sterling Silver snake finished chain. 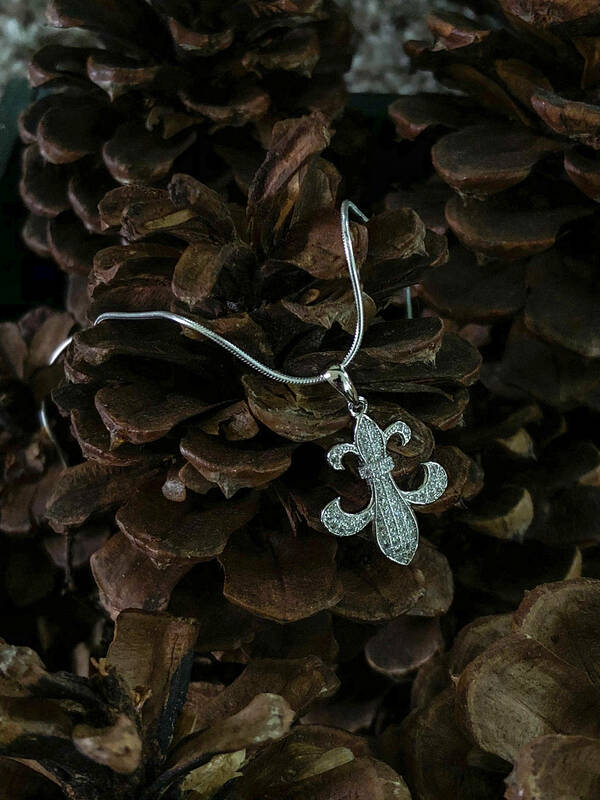 Add this charming and enchanting look to you outfit for a really nice touch.